Change the cell format to Number, which includes comma separators and two decimal places (10,000.000), by tapping Ctrl+! (or Ctrl+Shift+1). Put the cell value in Currency style by pressing Ctrl+$ or Ctrl+Shift+4. Note: This is not the Account format that keeps the dollar sign flush with the left margin. 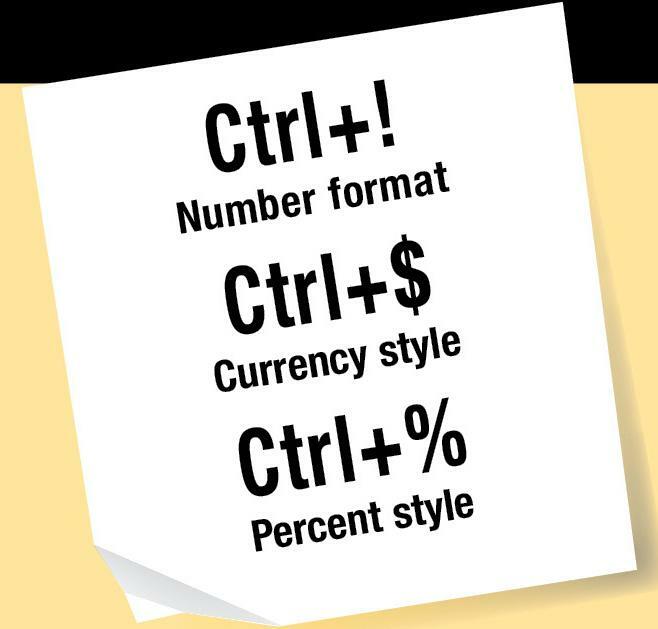 Place the cell value in Percent style with Ctrl+% or Ctrl+Shift+5. Example: To see 45%, type .45. Typing 45 will yield 4500%.